Smoke Alarms and CO Alarms in CALIFORNIA… What, Where and When? When an existing smoke alarm no longer works, the replacement smoke alarm is to meet all new requirements. For example, a battery-powered smoke alarm installed on July 2, 2014 is required to have the non-replaceable ten-year battery, but is not required to display the date of manufacture. WHERE DO MY SMOKE ALARMS NEED TO BE PLACED? Approximately two-thirds of home fire deaths occur in homes without working smoke alarms. Since most fatal fires occur at night, it’s essential that every home has working smoke alarms to provide an early warning. Working smoke alarms increase the chance of surviving a home fire by 50 percent. Install smoke alarms in every bedroom, in the hallways leading to the bedrooms, and on each level of your home, including the basement. Smoke alarms should be mounted on the ceiling 4” from the wall; wall mounts should be 4-12” from the ceiling. Do not install near draft areas (windows, vents.). Call your local fire department if you are unsure about placement. 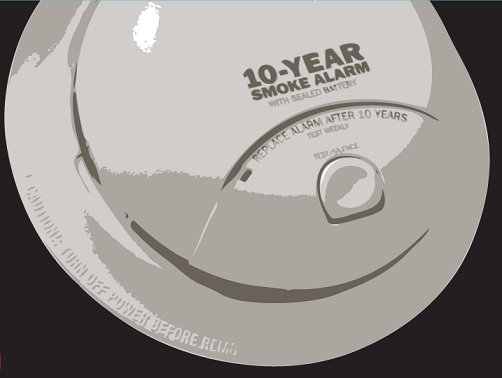 Smoke alarms with non-replaceable (long-life) batteries are designed to remain effective for up to 10 years. If the alarm chirps, warning that the battery is low, replace the entire smoke alarm right away. For smoke alarms with any other type of battery, replace batteries at least once a year. If the alarm chirps, replace only the battery. Test your smoke alarm. A suggested frequency is every month by simply holding down the test button. Vacuum your alarm at least once a year. Dust and cobwebs can impair sensitivity. Never paint over a smoke alarms. Smoke alarms should be replaced every 10 years. Q 1. What is carbon monoxide? A Carbon monoxide is a gas produced whenever any fuel, such as gas, oil, kerosene, wood, or charcoal, is burned. A person cannot see or smell carbon monoxide. However, at high levels carbon monoxide can kill a person in minutes. In addition, there are well-documented chronic health effects of acute carbon monoxide poisoning from exposure to carbon monoxide, such as lethargy, headaches, concentration problems, amnesia, psychosis, Parkinson’s disease, memory impairment, and personality alterations. Q 2. 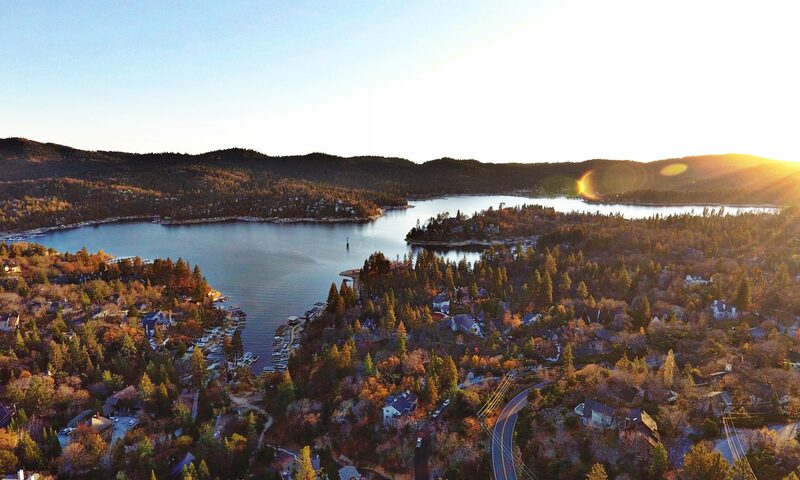 Is there a new California law dealing with the issue of carbon monoxide poisoning? A Yes. The Carbon Monoxide Poisoning Prevention Act of 2010 (Cal. Health & Safety Code §§ 13260 et seq.) was signed into law this year. It requires carbon monoxide detectors to be installed in every “dwelling unit intended for human occupancy.” The California legislature also modified both the TDS (for residential one-to-four unit real property) and MHTDS (for manufactured homes and mobilehomes) to include a reference to carbon monoxide detector devices. See below for more details. Q 3. What is a carbon monoxide detector? A It is a relatively inexpensive device similar to a smoke detector that signals detection of carbon monoxide in the air. Under the law, a carbon monoxide device is “designed to detect carbon monoxide and produce a distinct audible alarm.” It can be battery powered, a plug-in device with battery backup, or a device installed as recommended by Standard 720 of the National Fire Protection Association that is either wired into the alternating current power line of the dwelling unit with a secondary battery backup or connected to a system via a panel. If the carbon monoxide device is combined with a smoke detector, it must emit an alarm or voice warning in a manner that clearly differentiates between a carbon monoxide alarm warning and a smoke detector warning. The carbon monoxide device must have been tested and certified pursuant to the requirements of the American National standards Institute (ANSI) and Underwriters Laboratories Inc. (UL) as set forth in either ANSI/UL 2034 or ANSI/UL 2075, or successor standards, by a nationally recognized testing laboratory listed in the directory of approved testing laboratories established by the Building Materials Listing Program of the Fire Engineering Division of the Office of the State Fire Marshal of the Department of Forestry and Fire Protection. Q 4. How does a homeowner comply with this law? A Every owner of a “dwelling unit intended for human occupancy” must install an approved carbon monoxide device in each existing dwelling unit having a fossil fuel burning heater or appliance, fireplace, or an attached garage. (1) For all existing single-family dwelling units on or before July 1, 2011. (2) For all other existing dwelling units on or before Jan. 1, 2013. Q 5. How many devices and where do I place them in the home? A This new law requires the owner “to install the devices in a manner consistent with building standards applicable to new construction for the relevant type of occupancy or with the manufacturer’s instructions, if it is technically feasible to do so” (Cal. Health & Safety Code § 17926(b)). For minimum security, a CO Alarm should be centrally located outside of each separate sleeping area in the immediate vicinity of the bedrooms. The Alarm should be located at least 6 inches (152mm) from all exterior walls and at least 3 feet (0.9 meters) from supply or return vents. Installed outside of each separate sleeping area in the immediate vicinity of the bedroom(s) in dwelling units and on every level including basements within which fuel-fired appliances are installed and in dwelling units that have attached garages. Bookmarked. Please additionally consult with mmy website =). It would also be quite helpful if there were a “Bullet-point” summary of the requirements! The placement is noted in BOLD RED. I hope you found that helpful. If your landlord hasn’t installed any CO detectors, and I’ve been living hear for at least 3 years, is there anything I can do legally? Today PG&E turned my gas off due to a gas and CO leak that’s been going for a year if not longer. Hi Michael, I am sorry, I don’t know the rental laws. I would contact a larger rental company and ask them.